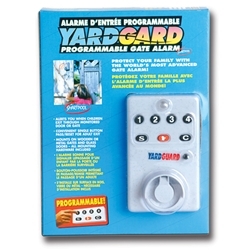 YardGard Alarms are designed to alert you upon unsupervised entry to your yard or pool area. YardGard meets or exceeds state barrier alarm codes. Hardware is included for mounting on gates, doors, and windows.